If you are an FFL using this for commercial purposes, please contact me for additional features. This is used to define the shape of the tip of the bit. Get your permit to carry concealed in 28 states. Online, TODAY! 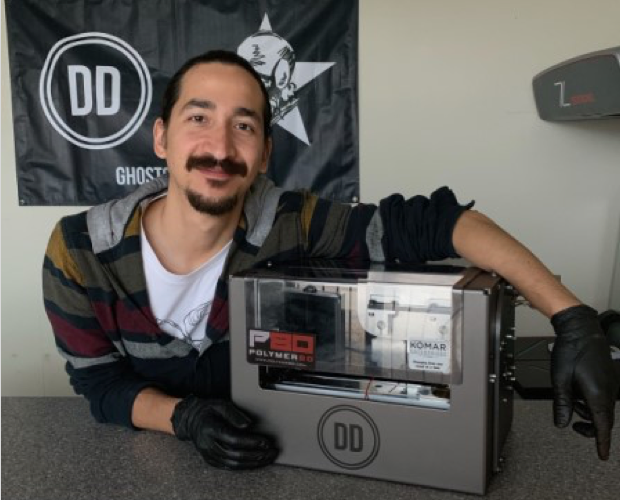 This site allows you to engrave with a Ghost Gunner CNC machine. Enjoy! Please note that the ATF requires a minimum character height of 1.5875mm and minimum depth of 0.0762mm. In order to engrave any area on the left side it is necessary to either modify your stock left jig, 3D print one from the .stl files included in the .dd file generated by Ghostwriter, or to buy a set from GGD, who designed them. GGD also offers engraving bits, custom jigs that fit a variety of lowers, and the code to complete them. If you would like to purchase a set or get a list of available products, visit the GGD store. If you are looking to make contact with the developer behind this tool, you can get to me here. I'm currently looking for (remote if possible) Software Development, DevOps or Systems Administration opportunities. If you want to get involved with the Ghost Gunner community, you can on the Ghostwriter subreddit, or on the Facebook group. Additionally, if you have any swag associated with your operation, I’d be interested in getting some. Thanks!